The inauguration of The Mayor of Brighton and Hove takes place every year in May; this ceremony is known as ‘The Mayor Making’. The history of the term ‘Mayor’ dates back many years (the City of London Mayoralty dates from 1192) but was more uniformly established by the Municipal Corporations Act 1835. The Mayor is regarded as the first citizen of the city and the ceremonial Head of the Council, although the Mayor has few actual legal powers. 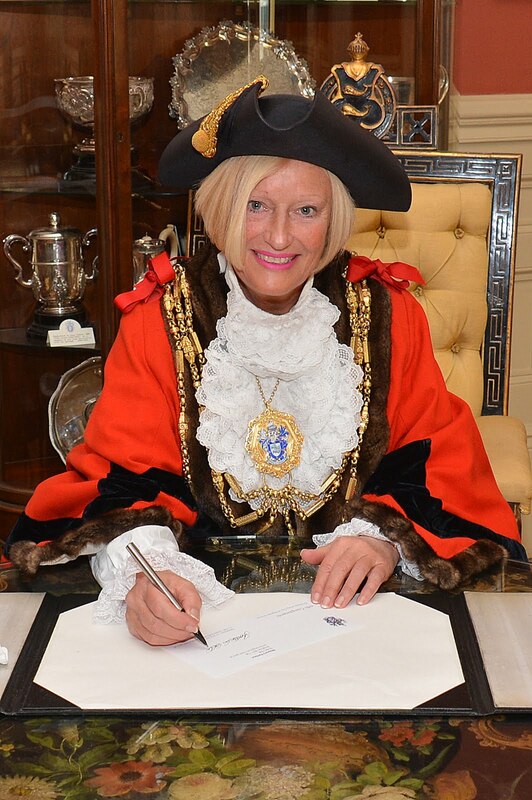 At a meeting of the City Council on May 23rd Councillor Denise Cobb was elected Mayor of Brighton and Hove for 2013/2014. Denise Cobb has served the city as a councillor since 1999 and represents the Westbourne ward. She was born and educated in Brighton but has lived in London and America. She works as a massage, sports massage and beauty therapist and teaches swimming and aquatic exercise. She is also a qualified swimming, fitness and gym instructor. Her previous experience has included working with unemployed adults to help them find work and in local hospitals in a number of posts.